Do you know that low back pain is the second largest cause of work absence, after common cold? The majority of low back pain disappear by themselves after awhile, but be cautious as it could be something as serious as cancer or aortic aneurysm. 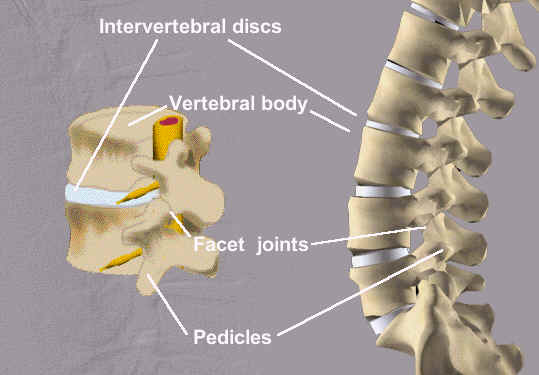 The intervertebral disc is a common source of pain. Genetic studies have found that deficiency of collagen and vitamin D result in degeneration of these discs. A quality collagen plays an important role to calm down the inflammation that is causing your back pain. Click on this link to discover How to Choose a Good Collagen. 1) Sciatica (pinched nerve). 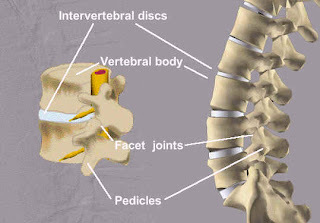 Usually caused by a herniated or slipped disc, which then compresses on a nerve root. Depending on the nerves that are compressed, pain can be experienced at different locations, known as dermatomal distribution. 2) A pain may be due to poor posture, prolonged sitting at a computer or other job-related tasks. 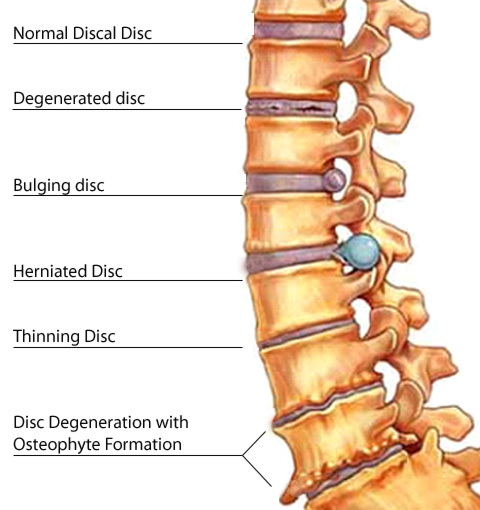 Pressure in the disc increases with sitting and this can worsen back pain. 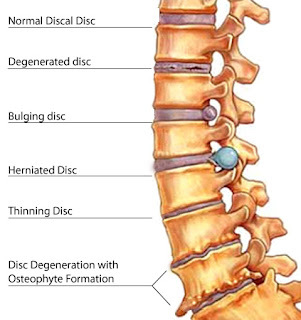 You will feel better lying down as this position puts the least amount of pressure on the disc. 3) Narrowing of the nerve openings, around the spinal cord or nerve roots. It can also cause leg pain and reduce the distance a person can walk. 4) Localised pain arises when an area is stretched or its muscles overused. The cause is more difficult to pinpoint. 5) Back arthritis affects the joints, and results in stiffness and pain. Click on this link to learn more about Osteoarthritis and Rheumatoid Arthritis. Learn how to prevent destruction of your cartilage arising from oxidative stress. If you know how that works, your will manage your arthritis condition and your back pain will be significantly reduced. Pain that is unrelieved at rest or disturbs sleep. Most non-specific back pains ease and go away within 6 weeks. However, even though the pain has eased, it is common to have further bouts of pain from time to time in the future. The pain can persist for several months or longer. Pain is merely a signal that something is wrong. Getting rid of the pain does not get rid of the source of the problem. Hence it is extremely important to ensure that you have solutions that can address the root cause of the pain to prevent future complications. 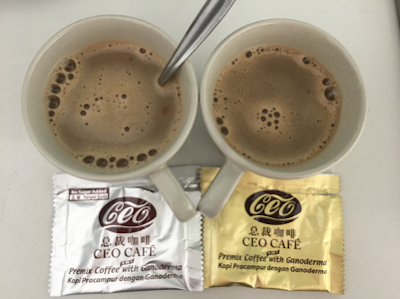 Email me at laifuiping@gmail.com if you are looking for solutions which have been proven effective to reduce such pain - Vitaking Collagen and Shuang Hor Lingzhi/Ganoderma.